Whilst we all try to avoid getting plastic bags when we buy groceries and things, occasionally it is unavoidable. 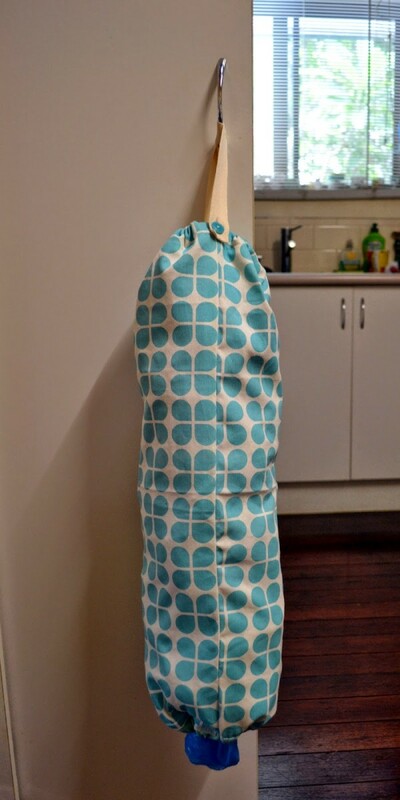 So here is a simple and pretty way to store them ready to be used and recycled for another purpose such as lining your kitchen bin like we do. 1. 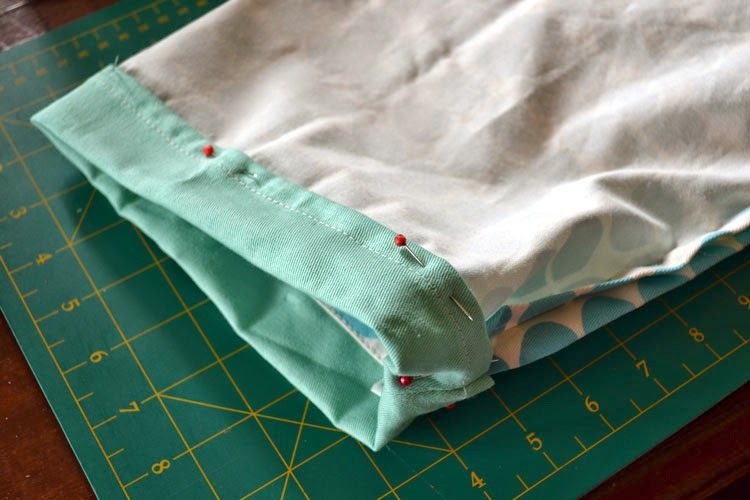 Firstly, fold the tea towel in half right sides together along the long edge, pin and sew along the long edge. 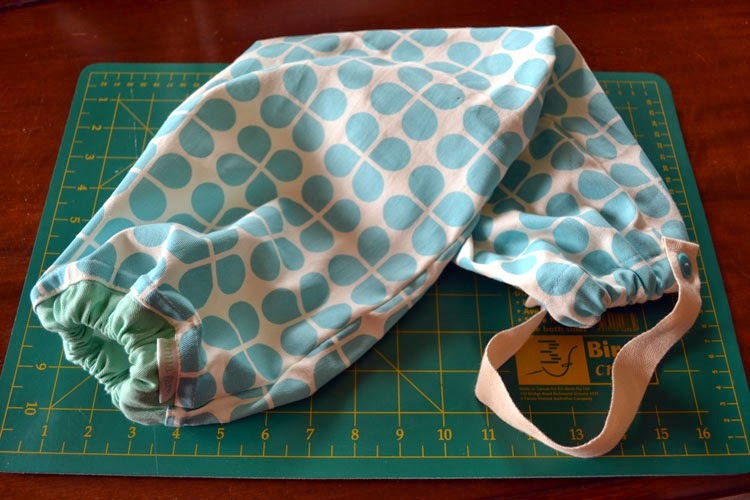 2.Fold over the bottom edge about 2.5 cm/1 inch to form a casing about an inch wide for the elastic. 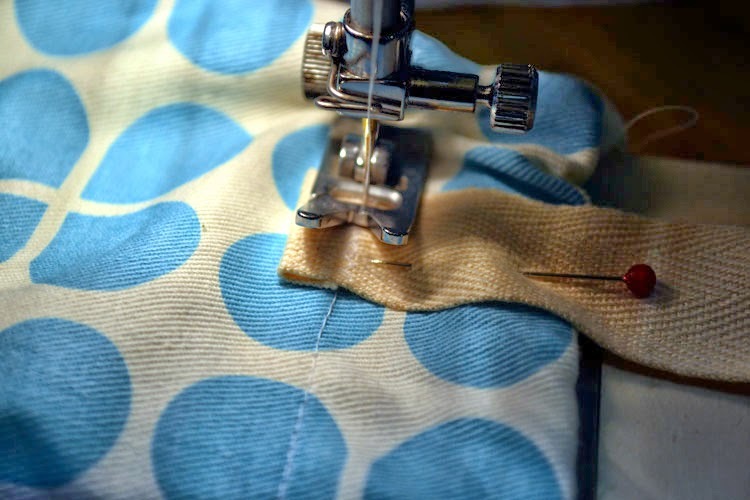 Pin and sew this seam leaving a small gap for the elastic to be threaded through. 3. Do the same for the top casing, again leaving a gap for the elastic near the long seam. 4. 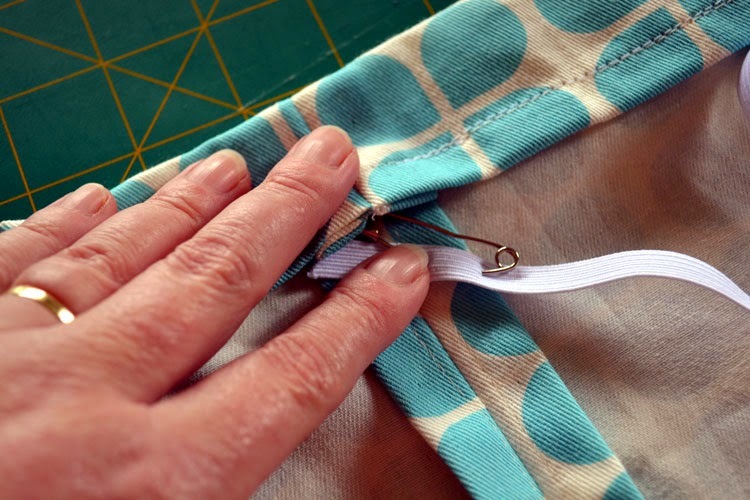 Using a safety pin, thread the elastic through both the top and bottom casings. 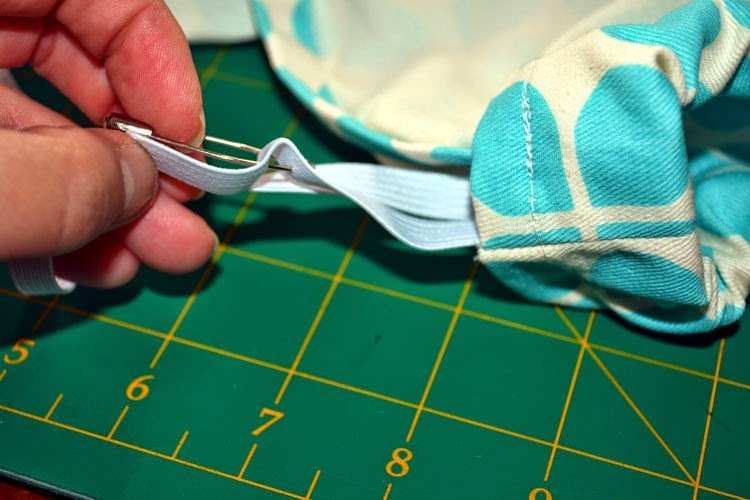 After trimming the elastic to the right length, remove the safety pin and sew across the ends to secure them. 5. 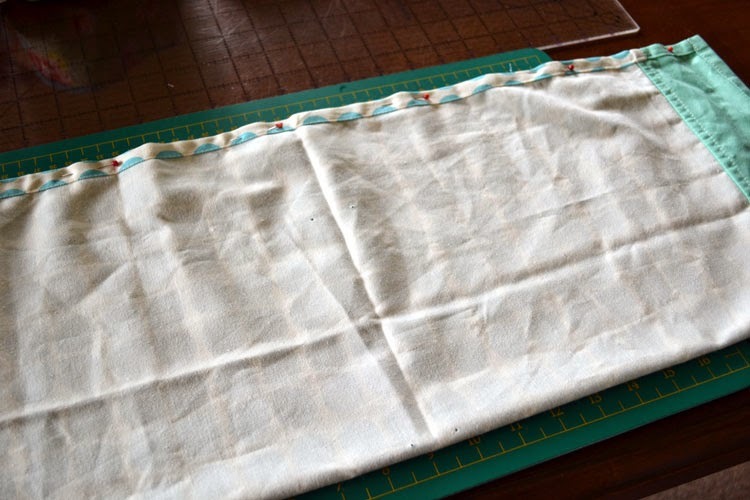 Taking the piece of woven tape, fold the short edge over and sew across this to secure the end from fraying. 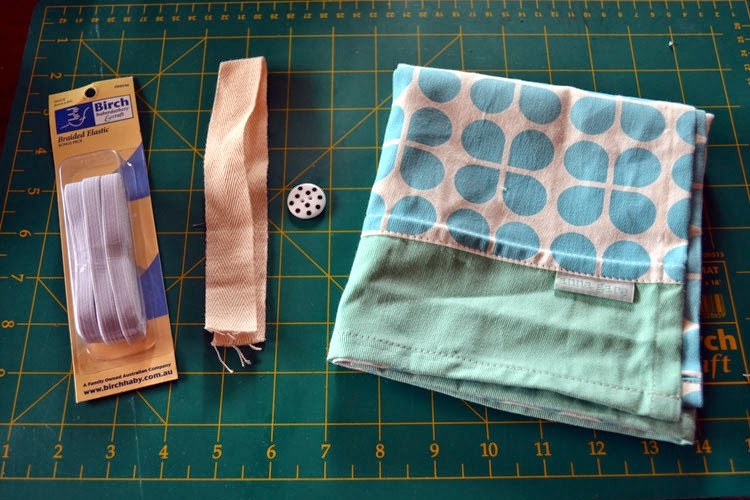 Make a button hole at this end of the tape to fit the size of the button you have chosen. 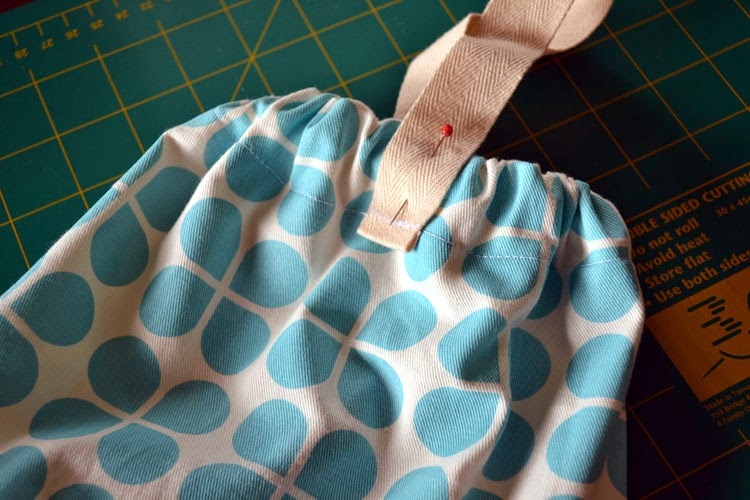 Then pin and stitch the tape down along the casing seam. 6. 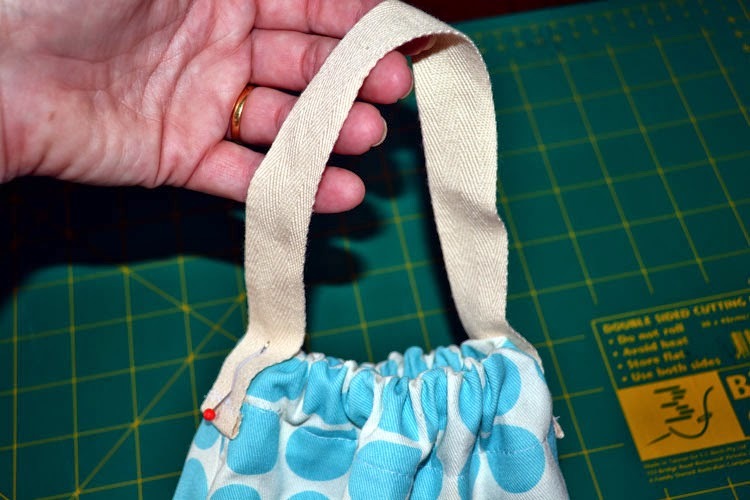 Make a loop across the top of the bag woven tape. 7. 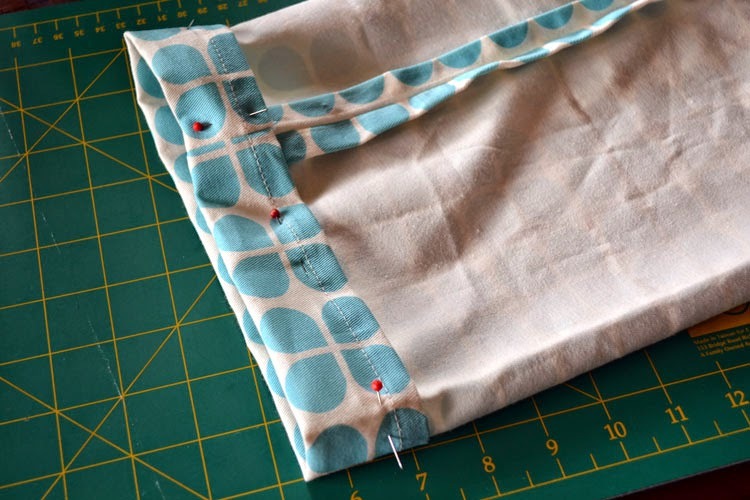 Then you just need to fold the other end of the tape over, and again pin and stitch it down. 8. 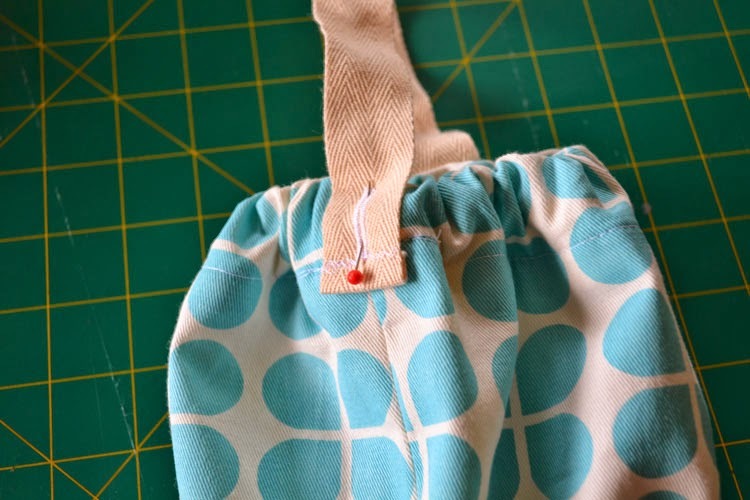 Sew the button on and it can then be hung off a door handle. Then you are ready to fill it up with bags ready to use. I hope you liked this tutorial and if you make one of these to brighten up your kitchen area, I would love to see it. A big thanks to Katy for hosting the Finish Along this year and also to the many great sponsors! Thank you. I need to make one of these. Ah, I just threaded cord through the top casing, and used the excess as a hanging loop, but the button is a great idea as my kitchen knobs are being replaced by handles which are far less "hanging things on" friendly! Also, the button allows you to roll the inside of the bag out half way down to make it easy to stuff the rolled up plastic bags into the bottom of the tube. Then you can pull one bag at a time out and not a twisted mess. They are a good idea, I think every one has one of these in their kitchen. What a fast and easy project and so useful too. I love the towel you used too. Great tute, and awesome teatowel!! 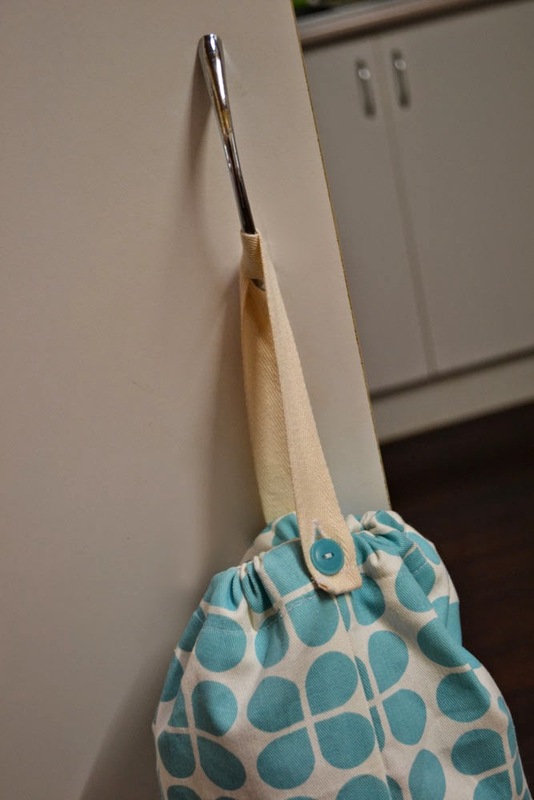 Easy, cute and completely functional. This is my kind of project! Brilliant idea but we've had the bag tax here for a while now and I don't have a single single use bag in the house anymore! It's really strange when we go over the border and get a bag for free!